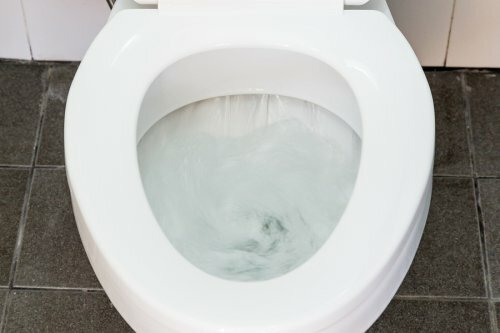 Are You Flushing Away Money on Your Water Bill with an Old Toilet? There are many ways to identify how to save money in your home, such as identifying how old your toilets are. Even though your toilet is meant to last several years with minimal toilet repairs or changes in water usage, it will be less efficient than modern toilets designed to use less water with every flush. Read on to see if your old toilets or frequent toilet repairs near Jacksonville are costing you more money than they should. Toilets that are more than 30 years old should be replaced with new and more efficient models. Newer toilets can use less than two gallons of water every time you flush, but older toilets may use up to seven gallons a flush. By upgrading to a new toilet, you could save up to five gallons of water usage every time you go to the bathroom. This savings will soon show in your monthly water bills, and you will pay off your new toilet within a few months. Also, consider installing a new unit if you are frequently calling a plumber for toilet repairs. By reducing the number of toilet repairs, you can save money and water usage. What Are the Symptoms of a Plugged Plumbing Vent? If you have a plugged plumbing vent, then have a plumber out to address the issue soon. This type of plumbing repair in Jacksonville can cause a number of issues within your house, and it is important a professional plumber inspect your home in the immediate future. Watch the video and continue reading to learn the common symptoms of a plugged plumbing vent. 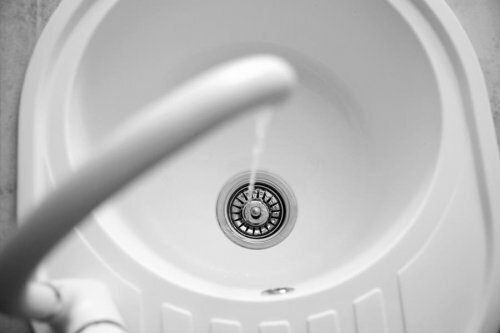 A plugged plumbing vent will likely affect most of the plumbing fixtures throughout your home by causing slow drains. You may also notice a smell coming through your sinks, especially a kitchen sink that often collects food remnants. In addition to these common symptoms, your toilets may gurgle or bubble when you flush them. Even if these symptoms happen separately from each other, it is important that a plumber to inspect your sewer line and plumbing vent for any clogs. Water conservation is a top concern for homeowners around the country. If you are concerned that you may be using excess water at home, now may be the time to consult with your plumber. By performing a kitchen or bathroom remodel near Jacksonville, you will be able to replace your outdated fixtures and appliances with new features that are designed to save water. A new tankless water heater installation can also help you reduce the water that you consume on a daily basis. Along with working on renovations with your kitchen remodeler, there are also specific plumbing repair procedures that can help to cut back on water waste throughout your household. A pinhole plumbing leak can end up wasting hundreds of gallons of water each month. By taking the time to locate and repair leaks throughout your plumbing system, you will take major steps towards conserving water at home. Your plumber can provide you with additional information about how you can start saving water with your home’s plumbing system. When you have a severely clogged drain in your home, you may find yourself calling up your plumber to schedule emergency repairs. Rather than waiting for an emergency to schedule plumbing repair for your system, you may want to take proactive steps to help avoid clogs in the first place. Your plumber serving Jacksonville can provide you with the information that you need to keep clogs away from your drains. If you are wondering how to prevent clogs in your home’s plumbing system, read on for some essential tips for keeping your drains clear. One of the most essential steps for keeping your drains clear is to take basic steps to eliminate clogs from forming in the first place. After each time that you use a sink or other plumbing fixture that contains a faucet and drain, you will want to run hot water through the system. The hot water will naturally remove buildup and grime, thereby helping to prevent clogs from developing in your drains. Drain screens are your plumbing system’s best line of defense against clogs. The role of a drain screen is to catch hair, soap scum, and other particles, while still allowing the water to properly flow down the drain. Without a drain screen, you may find that your drains develop clogs very quickly. If some of your drains do not currently have screens, be sure to talk to your plumber about the possibility of having new screens installed. While chemical drain cleaners can cause significant damage to your entire plumbing system, there are some natural remedies that you can use to remove minor clogs. Baking soda, for example, can be used to flush away small clogs in your system. If you have started to notice that your drains are running more slowly than usual, you may want to consider a baking soda treatment. In the event that baking soda cannot clear the clog, you will know that it is time to contact your plumber.